Description: The Muddy Safeguard Harness is sized to fit; super lightweight, no extra bulk, extreme comfort, and less fabric = less scent. Feature packed, design driven, and hunt-ready, the Safeguard Harness has it all. Available in a variety of sizes including youth, this harness is all inclusive for every hunter. 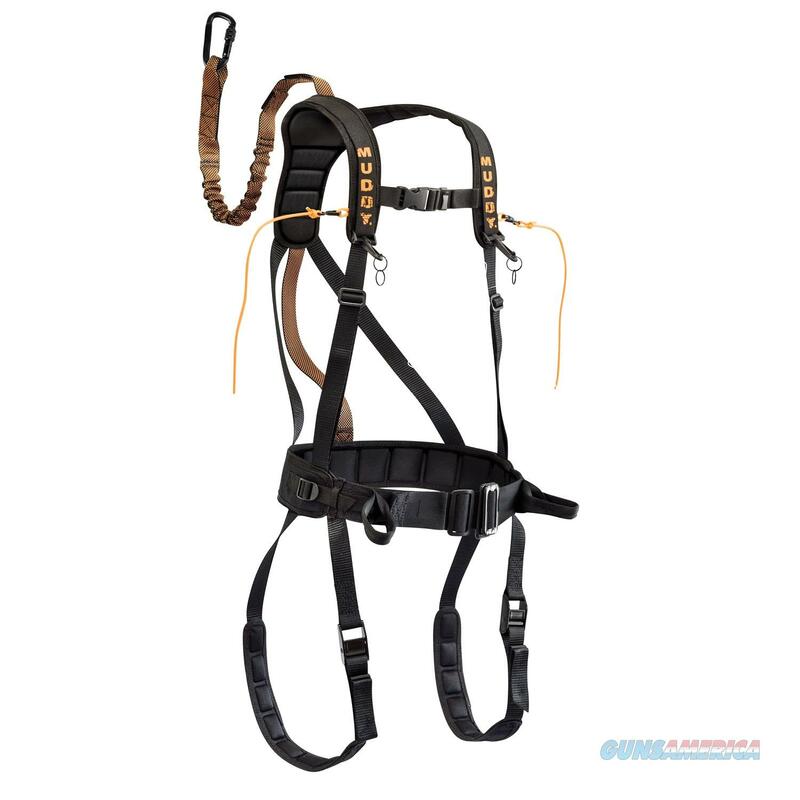 Combined with the Ultimate Hunt-Ready Package, the Safeguard Harness is the only purchase you?ll need to make before heading out to the stand; Includes the Safeguard Harness, Lineman?s Rope, Tree Strap, Suspension Relief Strap, Carabiner, and a Safe-Line. Along with the hunt-ready package, the Safeguard includes two convenient lanyard straps for instant gear access, convenient and quick access binocular straps, extra cushion for all day hunts, and more; there?s no limit to what this harness offers!